One hundred years ago today, WNP Barbellion scrawled his final diary entry. “Self-disgust,” he wrote. 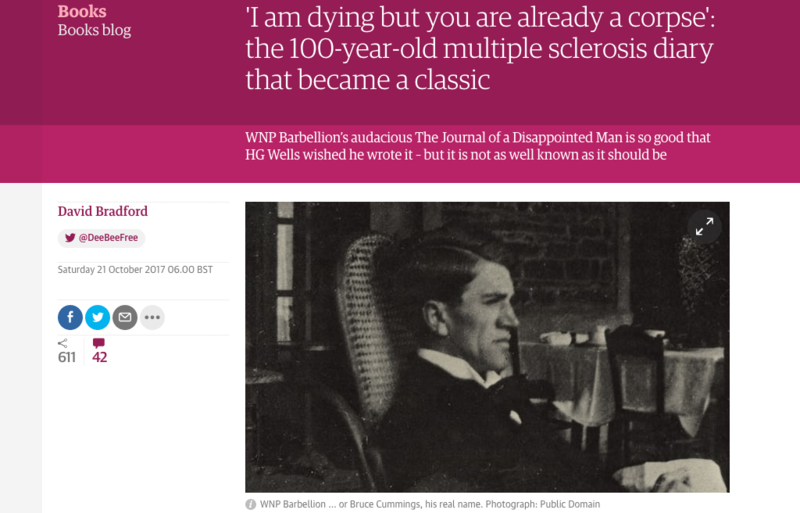 Ravaged by multiple sclerosis at just 28, this one word was all he could manage, before his hand was too unsteady to go on.